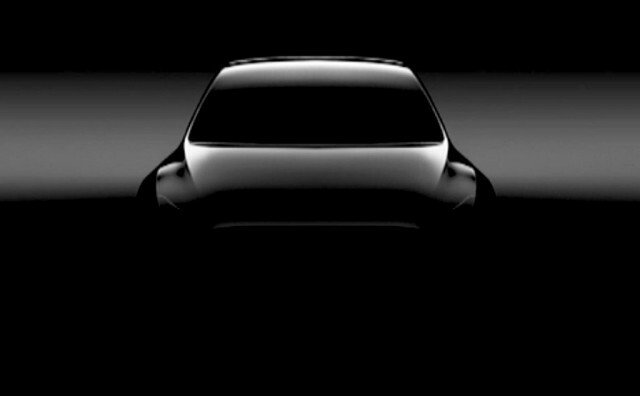 The Tesla Model Y is the second crossover SUV to join the automaker's electric-car lineup. Set to debut March 14, 2019, the Model Y is expected to share about 75 percent of its underpinnings, electric powertrain, and interior with the Model 3 sedan. Tesla CEO Elon Musk has said that the Model Y will be about 10 percent bigger than the Model 3 sedan and that it'll cost about 10 percent more. However, the Model Y's extra size means it won't have as much range as an equivalent Model 3. Those figures should work out to around $40,000 to start—before any government incentives that may apply to some buyers—and a range of at least 200 miles. With the Model Y, Tesla has a rival for other electric crossovers such as the Jaguar I-Pace, Mercedes-Benz EQC, and Audi e-tron—even its own Model 3 sedan. When it goes on sale around 2020, the Model Y may cost less than half as much as the Model X, at least in base configuration. It's not clear if Tesla will incorporate the gullwing-style, falcon rear doors from the Model X into the smaller crossover SUV, but it's hard to imagine how the complex hinges would be cost-effective at around $40,000. Tesla's powertrain portfolio for the Model 3 ranges from a 220-mile Standard Range version with rear-wheel drive, to Dual Motor versions with an induction motor on the front axle that gives them better acceleration, a longer range, and all-wheel-drive traction. For the crossover SUV, it's possible that Tesla will skip the rear-wheel -rive configuration altogether due to its modest range. If the Model Y incorporates the Model 3's interior, it will feature a 15-inch touchscreen that absorbs nearly every control from infotainment to climate to basic vehicle functions. The Model 3's spartan interior is even simpler—to the point of being drab—in the 220-mile Standard Range version, although it's feasible that Tesla could skip the configuration for the Model Y's launch. The Tesla Model Y also will likely incorporate the automaker's suite of driver-assistance features that are available on other models. Autopilot incorporates active lane control and adaptive cruise control to assist drivers on long hauls, or in stop-and-go traffic. Full self-driving features have been promised on other models, but largely haven't been delivered. Tesla likely will open the order books for the Model Y during the unveiling. Traditionally, the company has asked for $1,000 deposits for a spot in line to wait for the car. The model Y will be the fifth Tesla, including the early Lotus-based Roadster that launched the brand.